As a result, some people wonder which is better, buying or renting movie from iTunes store? Below is a post from a forum about this topic. "Just bought myself an Apple TV for my birthday! Absolutely love it. Just wondering if you guys buy or rent movies off iTunes? Me and the girlfriend have already started a collection of movies on Apple TV ." OK, let's compare the two methods to enjoy movies on iTunes. Generally, the price of a movie on iTunes Store ranges from $9.99 to $14.99. Expensive? It may cost less for you to rent a movie from iTunes. 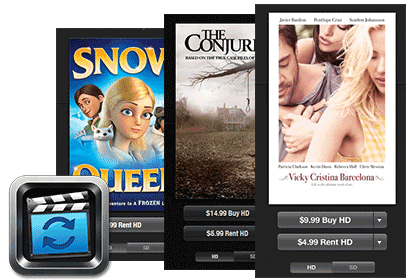 Usually, the price for you to rent a movie from iTunes ranges from $4.99 to $5.99. When you purchased a movie from iTunes, it mean that you own it and you can freely play it any time you like. However, a movie you rented from iTunes will expire in 30 days. You need to watch it before it expires. What's more, once you click to start to play the movie, you have only 24 hours to play it, and after then, the movie will be expired. There are millions of movies in iTunes Store that you can purchase. But not all of the movies you can purchase also allow you to rent. So, the amount of movie you can purchase is larger than that you can rent. 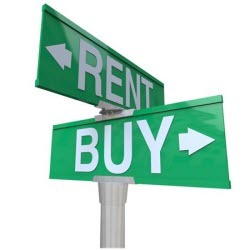 Above are the differences between purchasing and renting a movie from iTunes. They also have something in common. No matter you have bought or rented a movie from iTunes, it can only be played on 5 computers you have authorized or be transferred to your iOS devices for playback. Because the iTunes movies are packed with DRM protection. This would make it inconvenient for you to enjoy the movie when you only have Android phones or tablets and you want to take the movie with you outside. Isn't there a effective solution? Here M4VGear DRM removal software is recommended as the best program for you to remove DRM from iTunes purchased and rented movies. 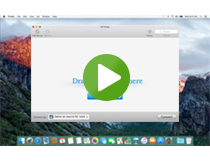 It directly removes DRM protection from iTunes M4V video files and convert the DRM movie for playing on various devices with high quality. Note: All original subtitles and audio tracks of iTunes movie can be retained after conversion. Tips: M4VGear offers 1 minute free trial which allows you to convert one minute of iTunes rentals or purchases for free. If you want to unlock the time limitation, you should use the full version instead. It costs only $44.95, decreasing from original $49.95 by $5. Update is free of charge. It is hard to tell which is better between buying and renting a movie from iTunes store. My personal opinion is: if you want to watch some latest movies that don't provide renting option or you would like to collect the movies you favorite so that you can watch them in the future, you probably need to purchase the movie from iTunes; and if you are more caring about the price and only want to watch the movie once, you can save much money by renting movies from iTunes. So what do you think? Share with us why you purchase iTunes movie or rent iTunes movie by leaving a comment here. If you are Apple Music subscriber and also want to enjoy Apple Music on various players. Here we recommend that you can try Sidify Apple Music Converter, which enables you to convert Apple Music tracks to plain MP3, AAC, FLAC and WAV format losslessly at 20X speed, while keeping all the ID tags and metadata.